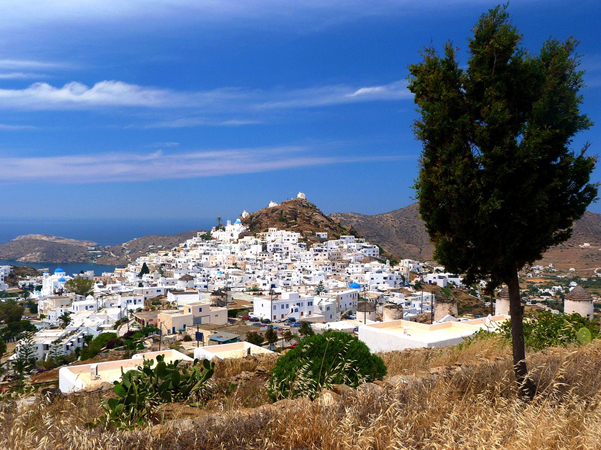 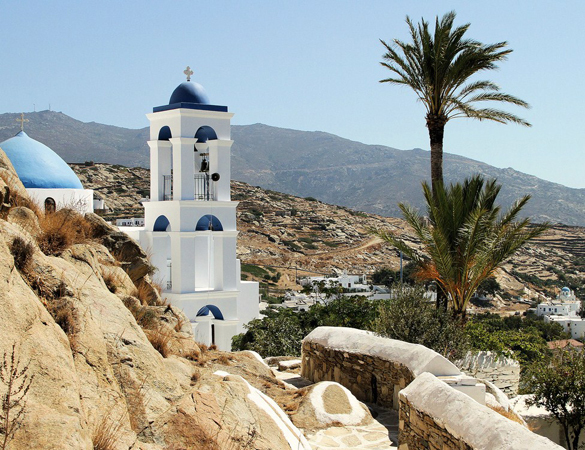 Built on the hill overlooking the harbour lies Chora, the main village of Ios, which offers a view to the islands surrounding it. 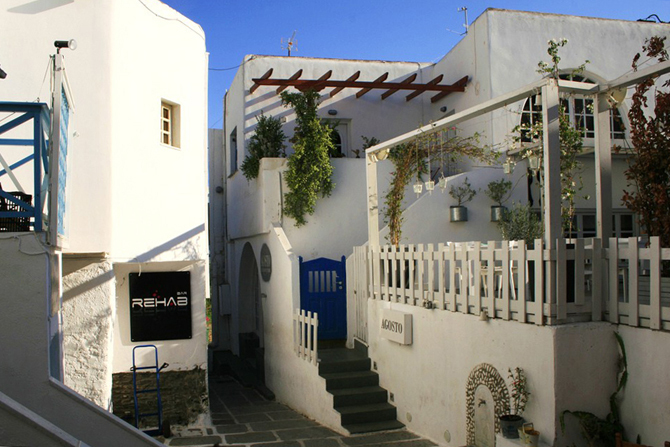 The visitor can either take the road (2 km.) 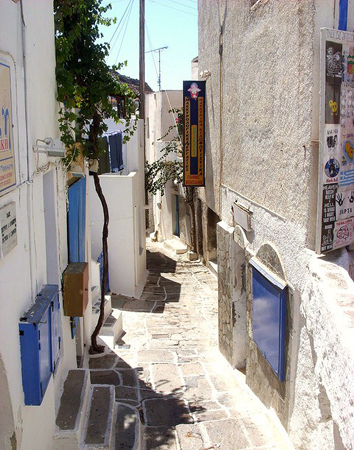 or follow the old paved alley. 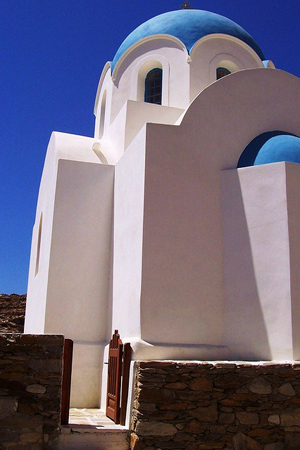 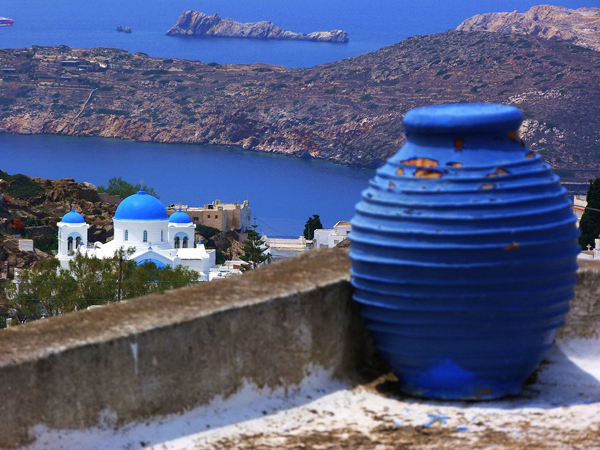 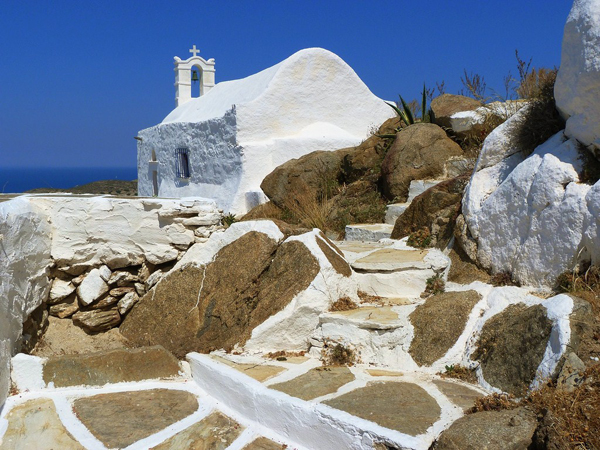 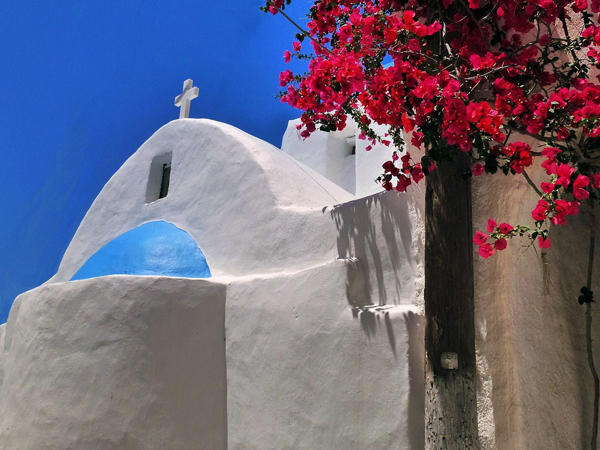 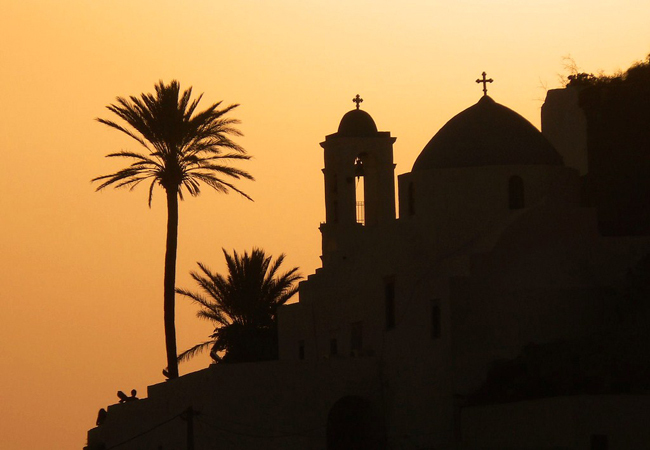 Once we reach Chora, we experience the unique Cycladic atmosphere. 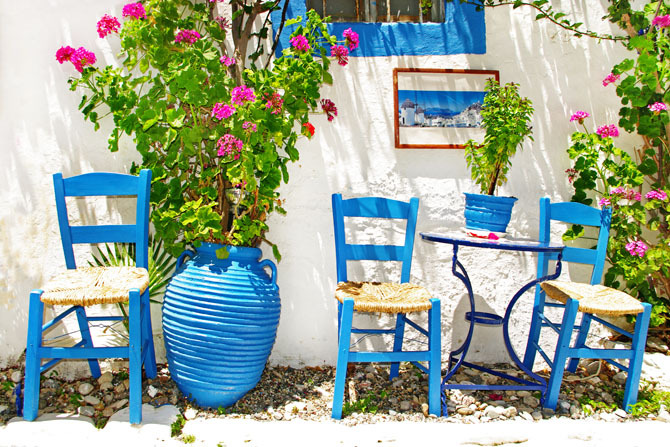 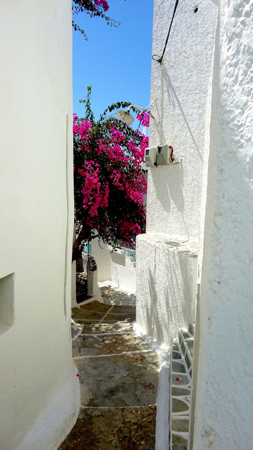 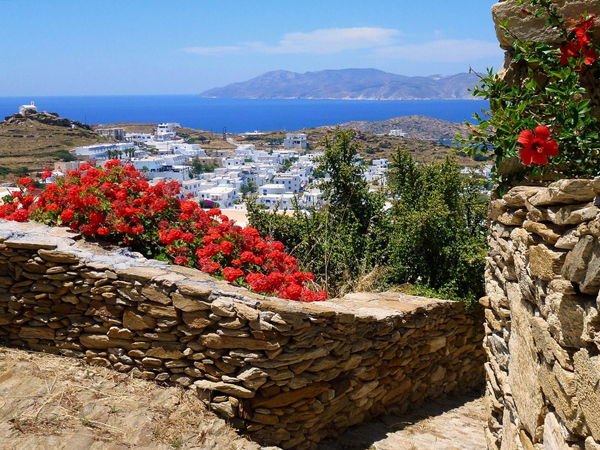 The village is built following Cycladic architecture standards with many small paved alleys. 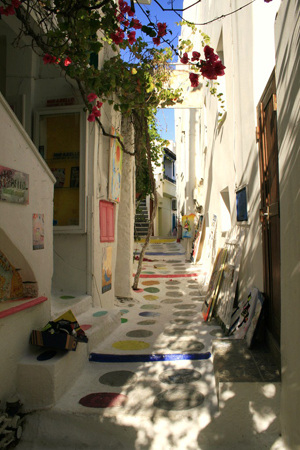 The residents always see to whitewash the joints of the alleys and sheltered alleys, called "stegádia" by the locals, under the houses. 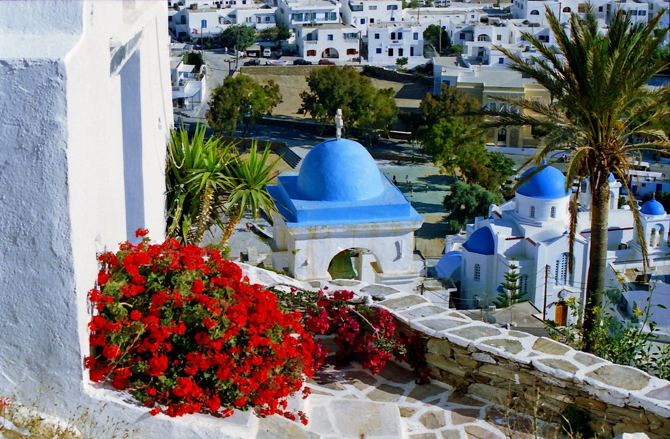 Here, the visitor can see all-white houses with coloured doors and windows and explore the picturesque neighbours walking through Chora. 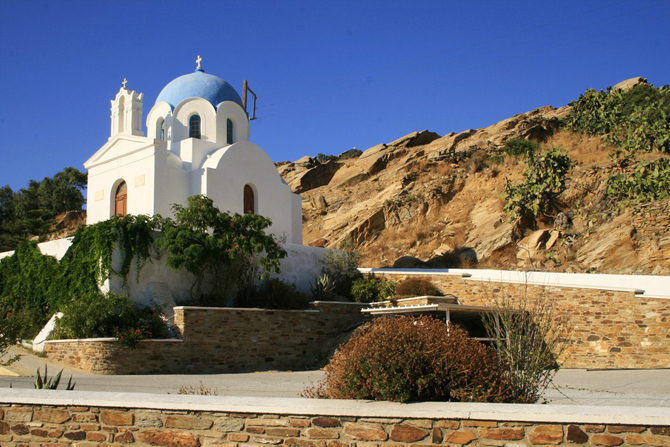 On the top of the hill lies the church of Panayia Gremiótissa. 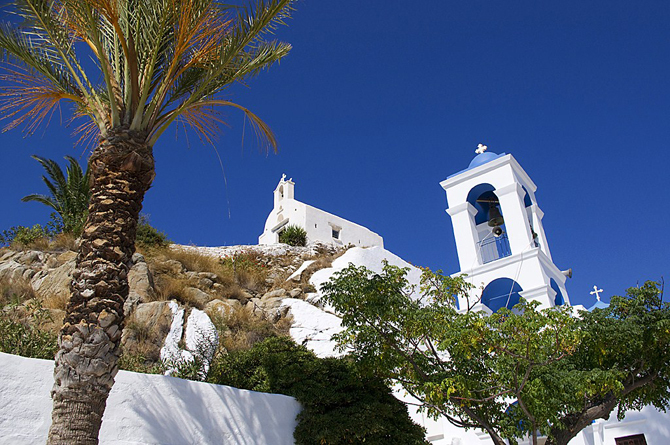 Here, a palm tree adorns the courtyard and the view to the other islands is really worth seeing. 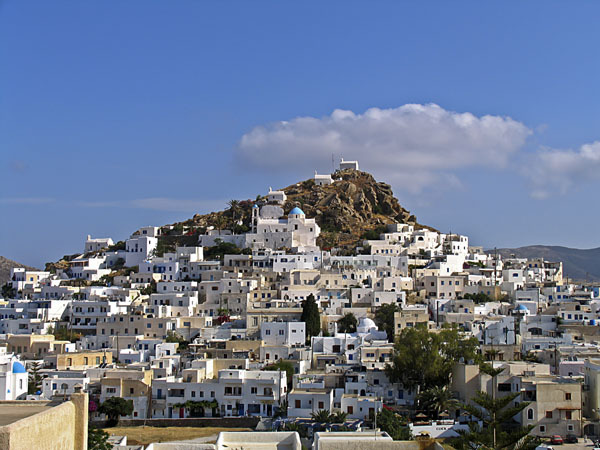 From this point we can see the windmills, some of which are open to visitors, as well as the wall of the Ancient Town, which was built to protect the islands from attacks. 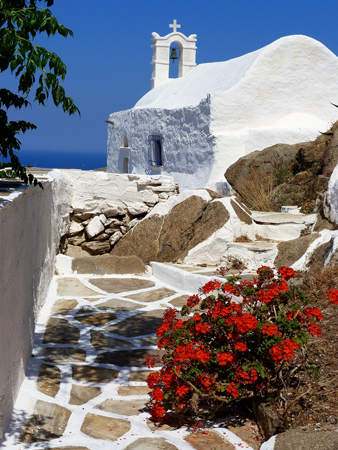 It is also well worth to spend one afternoon exploring the natural beauty of the village. 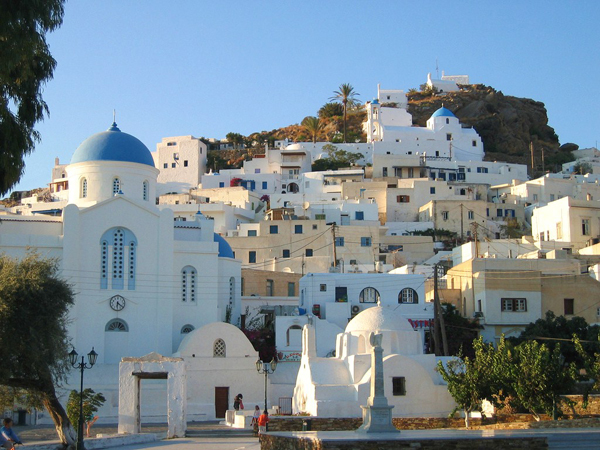 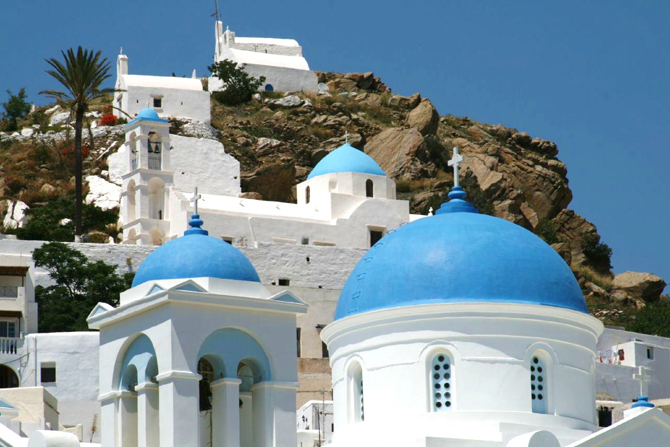 Last but not least, many hotels, restaurants, shops and bars hosting the nightlife of the island are located in Chora.